The tough styling of the 2019 Nissan Frontier sets it apart from the rest of the vehicles in the mid-size pickup class. 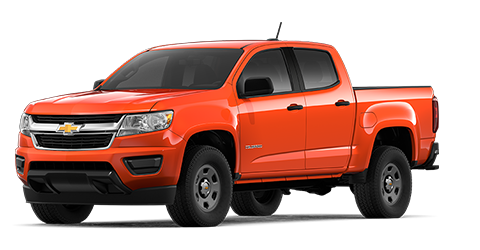 Many mid-size pickup trucks look undersized, like they’re shrunken versions of full-size pickup trucks, such as the Chevrolet Colorado. The Nissan Frontier clearly has its own unique sense of style. In addition to its aggressive style, the Nissan Frontier has several useful exterior features that are missing in competitors like the Toyota Tacoma, and the Honda Ridgeline. The Nissan Frontier has standard tinted glass that protects the privacy of its occupants, and the Toyota Tacoma doesn’t. All trims of the Nissan Frontier offer an optional bed liner, which is not the case with the Toyota Tacoma. The Nissan Frontier even offers a full-size spare tire, while the Honda Ridgeline only offers a temporary spare tire. Take a look at the stylish Nissan Frontier at our Bob Moore Nissan dealer. Come in for a test drive today. The Nissan Frontier raises the bar for mid-size pickup truck safety. The sturdy and durable construction contributes to its excellent crash test ratings as well as the cleverly engineered airbag setup. The 2019 Frontier even has a standard rearview camera. Parking and backing out of tight spaces can be difficult in a pickup truck, but the rearview camera in the Nissan Frontier makes these situations much safer and easier to deal with. The Nissan Frontier also has standard 4-wheel disc brakes. unlike the 2019 Toyota Tacoma. 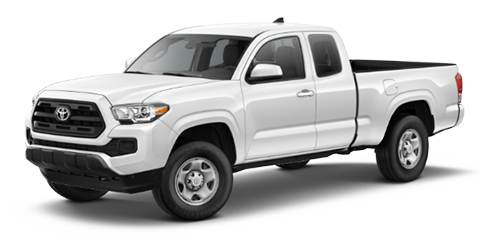 The Toyota Tacoma has to make do with rear drum brakes, which do not stop the vehicle anywhere near as effectively as the standard disc brake technology in the Nissan Frontier. The 2019 Frontier also has multiple advanced safety programs that work to make the driving experience more stable and controllable. Specifically, Electronic Stability Control is standard as is Traction Control. Get more info on the safety features of the new Nissan Frontier. Drop by Bob Moore Nissan, Oklahoma City’s preferred Nissan dealer, for a test drive today. The 2019 Nissan Frontier has full-size capability with the compact size and low price point of a mid-size pickup truck. It’s the ideal work truck for many small businesses, which can save thousands of dollars by choosing the Nissan Frontier over more expensive full-size pickup trucks such as the Honda Ridgeline. In fact, you’ll also save when you choose the Nissan Frontier over its compact-class competition, such as the Chevy Colorado and the Toyota Tacoma. Speaking of the Honda Ridgeline, its standard front-wheel drive doesn’t provide the same sort of capability that the Nissan Frontier’s standard rear-wheel drive does. The new Nissan Frontier also has optional all-wheel drive for even greater capability, especially in inclement weather and while towing large loads. The standard 2.5L 4-cylinder engine kicking out 152 horsepower provides more than enough power for a variety of different challenging situations. Take the 2019 Nissan Frontier out for a spin at our Bob Moore Nissan dealer today. The interior of the 2019 Nissan Frontier is every bit as durable and ergonomic as the exterior. It is also spacious and comfortable for all-around excellence. Interiors are traditionally not the strong point of mid-size pickup trucks, and a look inside competitors like the Honda Ridgeline, Chevy Colorado, and the Toyota Tacoma will reinforce this notion. 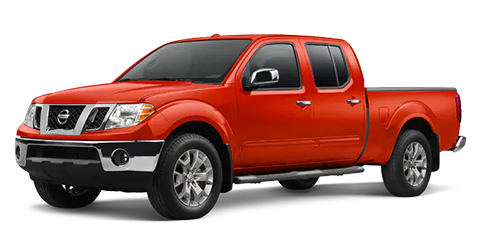 However, the Nissan Frontier is different. It has a standard pass-through rear seat, which maximizes its already impressive cargo space. The Toyota Tacoma can’t match this capability. The Toyota Tacoma also can’t match the headroom and legroom in the back, which is noticeably less spacious than the Nissan Frontier’s back seat. The Nissan Frontier has also been widely praised for its comfortable seats, which is not a strong suit of the Toyota Tacoma or the Honda Ridgeline. Experience the versatility and practicality of the 2019 Nissan Frontier. Take a test drive at our Bob Moore Nissan car dealer – Oklahoma City’s favorite dealership. The 2019 Nissan Frontier tops it all off with a set of advanced technology. The standard steering wheel audio controls allow drivers to change tunes without looking away from the road, which keeps the driving experience as safe as possible. The standard auxiliary jack makes it easy for drivers to connect their devices and play their music through the Nissan Frontier’s audio system. The Nissan Frontier also offers optional SiriusXM® satellite radio and optional GPS navigation. Drivers in Norman and elsewhere in the Oklahoma City area can check out the practical tech in the Nissan Frontier. Swing by Bob Moore Nissan for a test drive today.